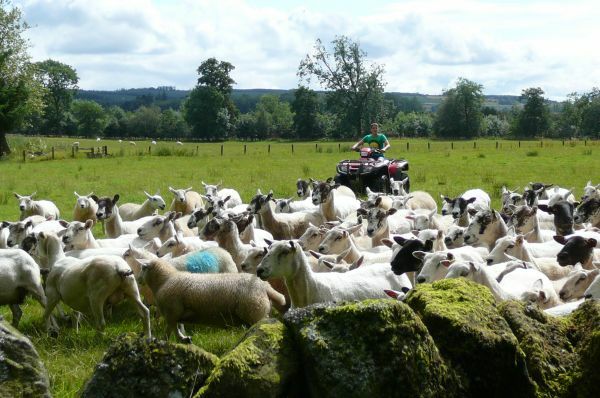 Farmhouse Bed and Breakfast situated on a small private Scottish Country Estate within the beautiful Liddesdale Valley, with 363 acres of farmland and woodland and a mile stretch of private river. 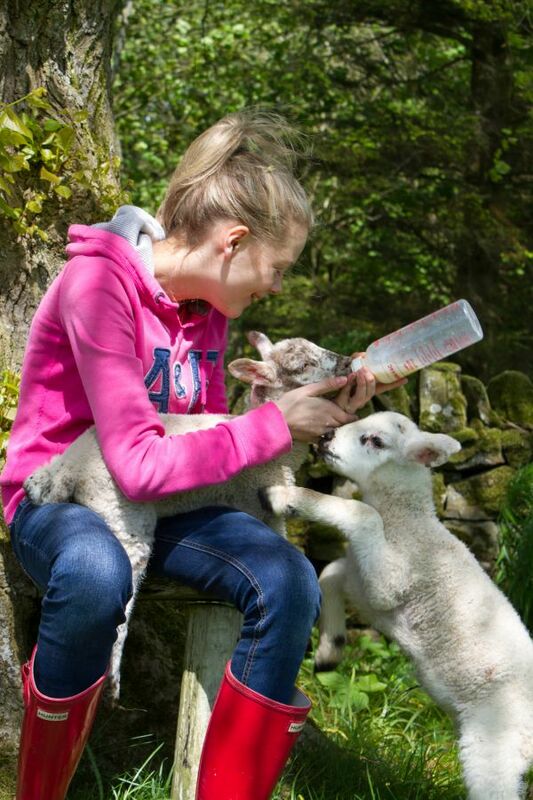 Abbotshaw House is an ideal base for walking, cycling, star gazing, fishing and horse-riding. 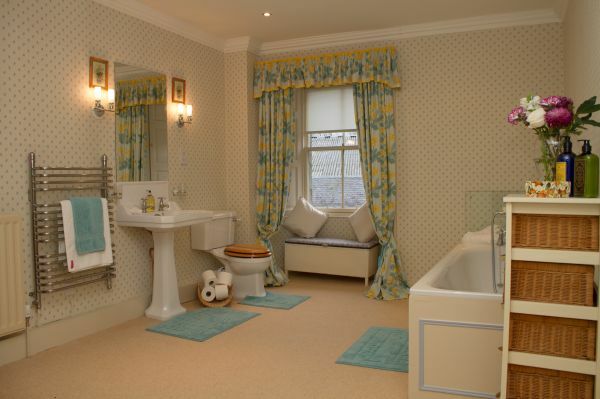 The Reiver Suite is ideal for a romantic weekend. 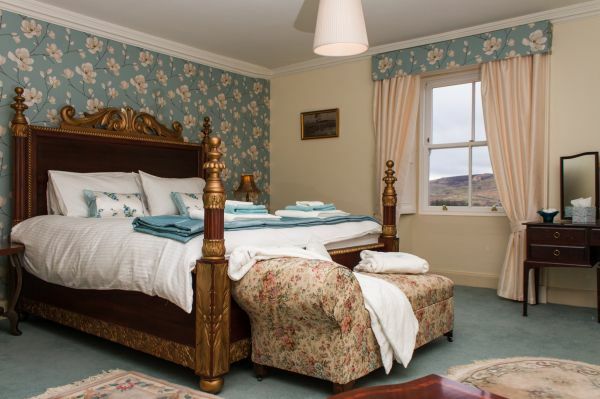 All rooms have panoramic views of some of the most spectacular scenery of the Scottish Borders, large flat screen Freeview TVs and FREE Wifi. Lawns, a paved BBQ area and a DVD player and selection of DVDs plus card/board games are available for guests use. 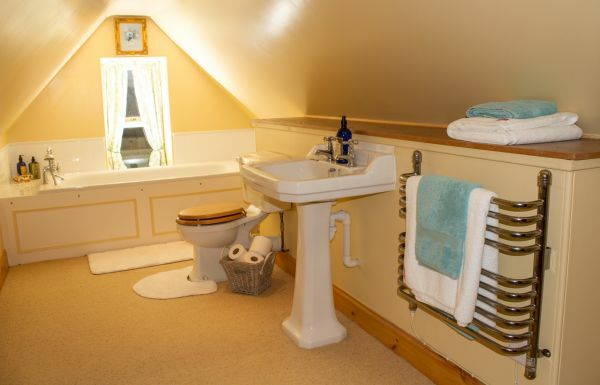 Star-gazing One of the darkest places in the UK, as mapped by Dark Sky Discovery , Abbotshaw House offers bed and breakfast accommodation near Kielder making it an ideal location for those visiting Kielder Observatory. Walking There are many river, forest and hill walks to suit walkers of all abilities. The dis-used Waverley railway line runs through the farm. Cycling and Mountain Biking Abbotshaw House is the ideal place to stay for a mountain biking or cycling holiday or short break just off Rout 10 of the Reivers Cycle Trail. 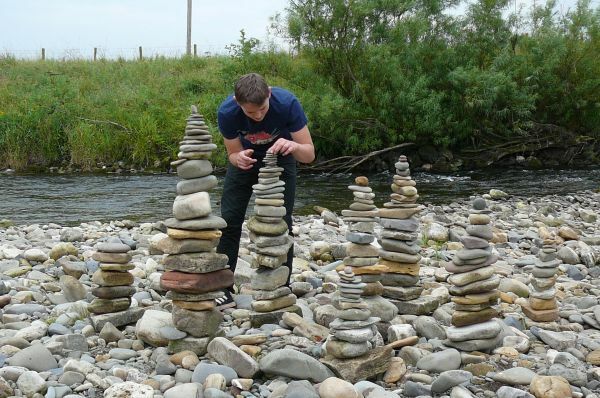 The Newcastleton 7stanes Trail is one of the famous 7 which proves very popular with families and groups of varying levels of ability or you could ride over to Kielder to join up with the Bloody Bush and Lonesome Pine (red graded trails). We have a washroom for hosing bikes down at the end of the day, drying facilities and also secure (alarmed) storage. Fishing Abbotshaw House owns a mile of the Liddel Water, with three good pools. 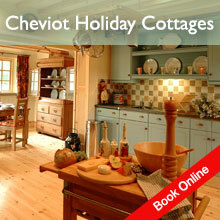 Guests are welcome to sit and fish (salmon and sea trout rights excluded) and enjoy the tranquility of Liddlesdale. Horse Riding What better place to bring your horse for a riding holiday than to the farm that was home to the legendary Lenamore for over 10 years. 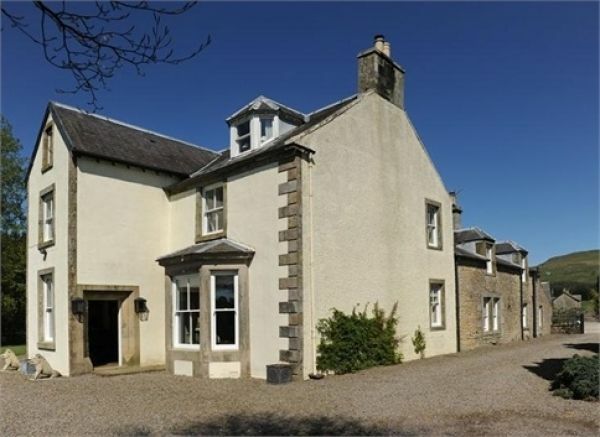 Abbotshaw house provides stabling for your horse with 363 acres of private land and miles and miles of forest tracks to ride around whilst enjoying the spectacular views of the Scottish Borders. A near Olympic size all-weather arena is also available for guests to use. 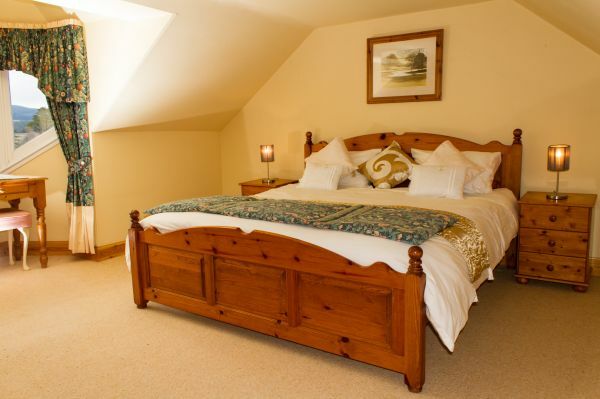 With wonderful views across the Liddel Water valley, the Waverley room offers superb comfort. 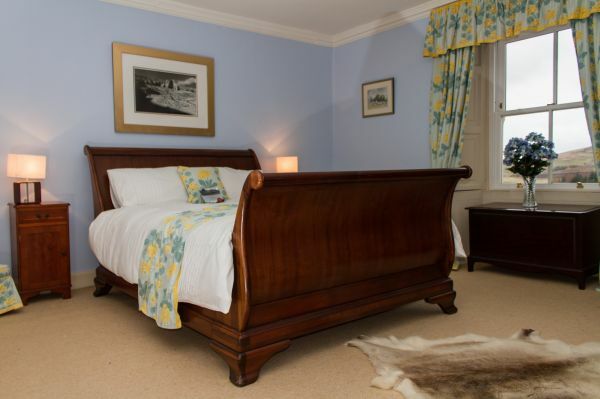 Featuring a king size Wallis and Gambier sleigh bed with a luxurious handmade pocket sprung mattress and Egyptian cotton bedding, 40" Freeview TV, two small comfy chairs, dressing table and wardrobe. The window has both shutters and curtains giving guests the facility for a blackout sleeping environment. 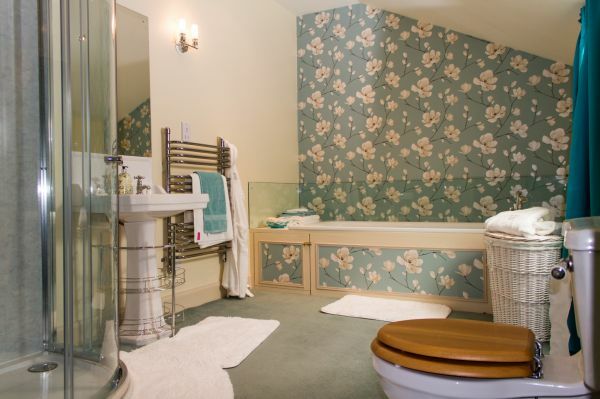 The Waverley has a very large en-suite bathroom with spacious power shower, bath, hand basin and WC.